Bio: Elisa Bertino is a professor of Computer Science at Purdue University. 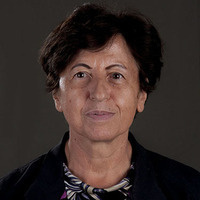 Prior to joining Purdue, she was a professor and department head at the Department of Computer Science and Communication at the University of Milan. She has been a visiting researcher at the IBM Research Laboratory (now Almaden) in San Jose, at the Microelectronics and Computer Technology Corporation, at Rutgers University, at Telcordia Technologies. Her main research interests include security, privacy, database systems, distributed systems, and sensor networks. Her recent research focuses on digital identity management, biometrics, IoT security, security of 4G and 5G cellular network protocols, and policy infrastructures for managing distributed systems. Prof. Bertino has published more than 700 papers in all major refereed journals, and in proceedings of international conferences and symposia. She has given keynotes, tutorials and invited presentations at conferences and other events. She is a Fellow member of ACM, IEEE, and AAAS. She received the 2002 IEEE Computer Society Technical Achievement Award for "For outstanding contributions to database systems and database security and advanced data management systems" and the 2005 IEEE Computer Society Tsutomu Kanai Award for “Pioneering and innovative research contributions to secure distributed systems”.